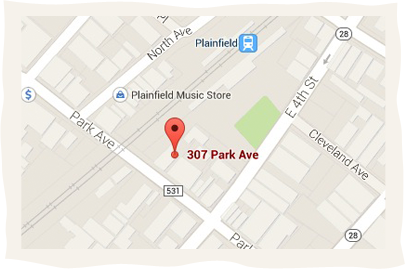 Tradiciones de mi Pueblo is family-owned and operated business right here in Plainfield, NJ. 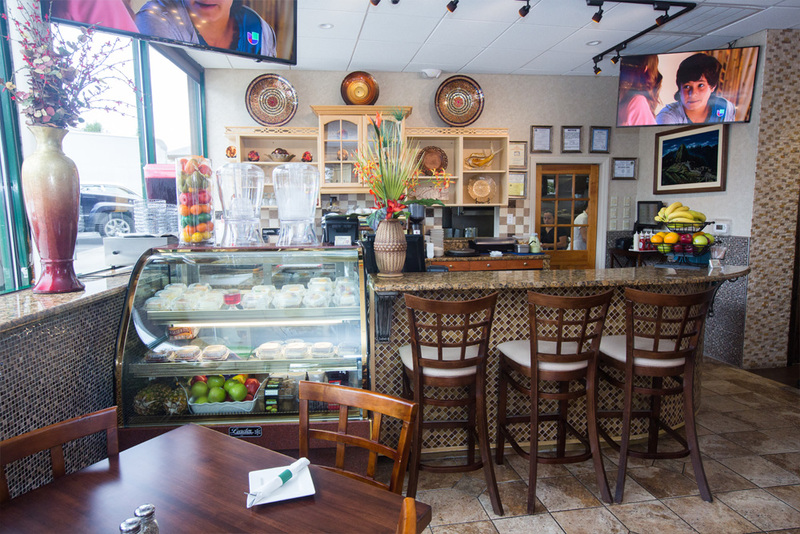 Since our restaurant opened its doors in 2001, we’ve treated every customer like they were a part of our family. 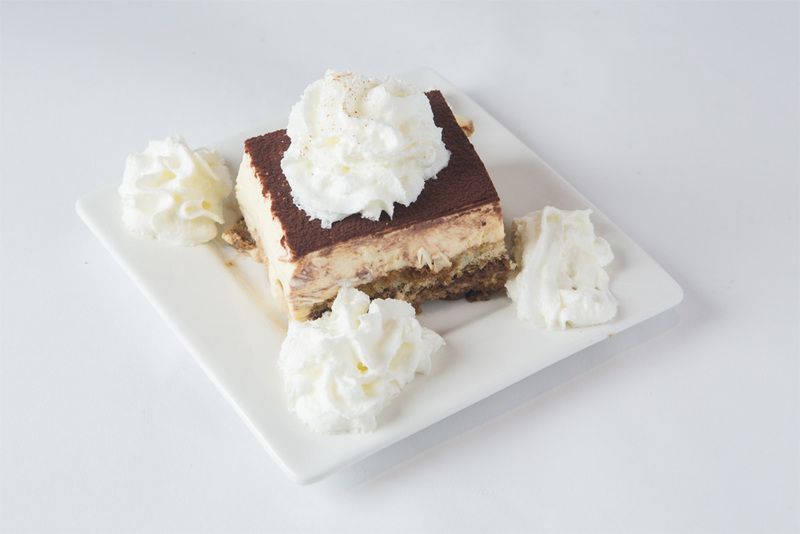 Other restaurants may offer similar dishes, but our food is the best, and comes with a personal touch. 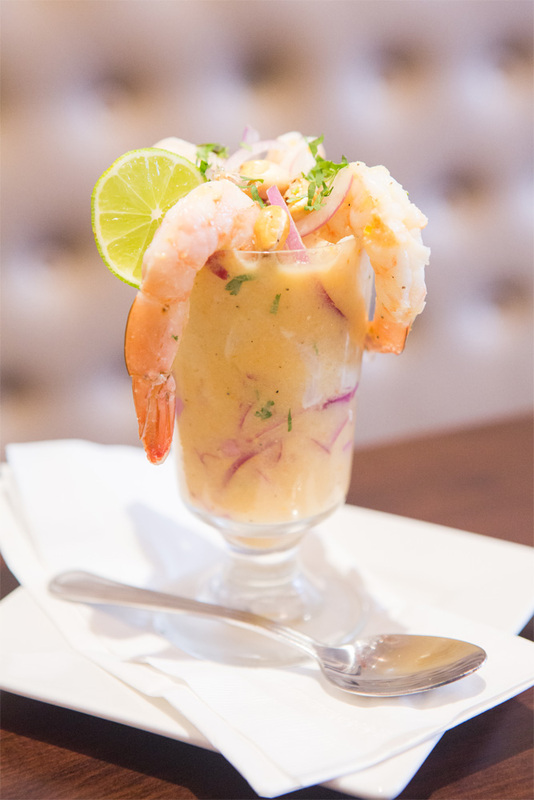 Tradiciones de mi Pueblo was created, to offer you the best of Peruvian cuisine. 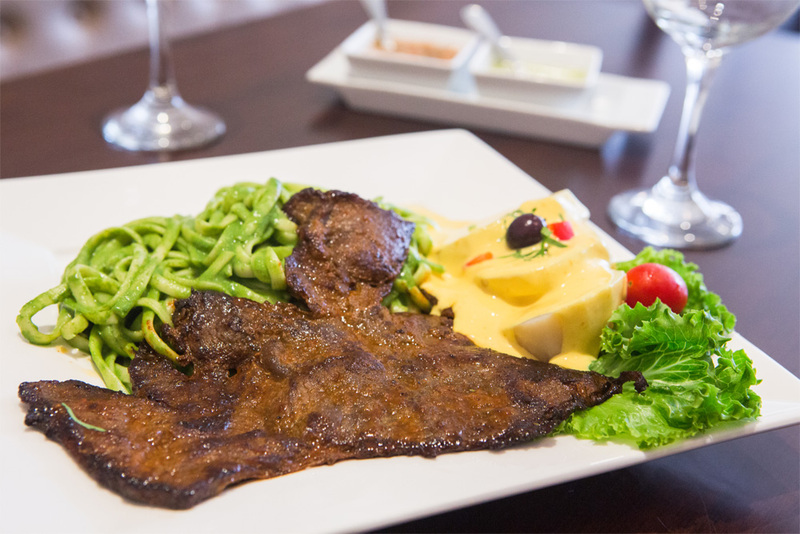 It’s our honor to share with you a little bit of our Peruvian traditions and culture with our excellent food. 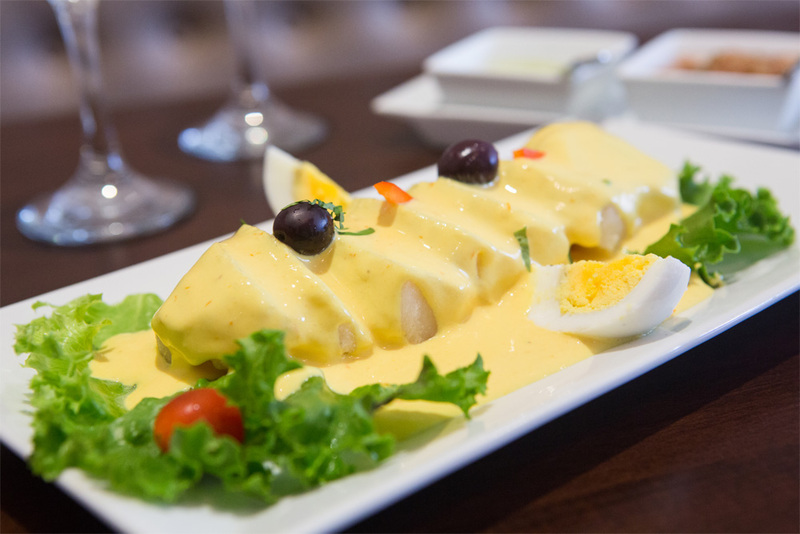 Sliced steamed potatoes topped with a cheese sauce, garnished with boiled eggs and Peruvian olives. 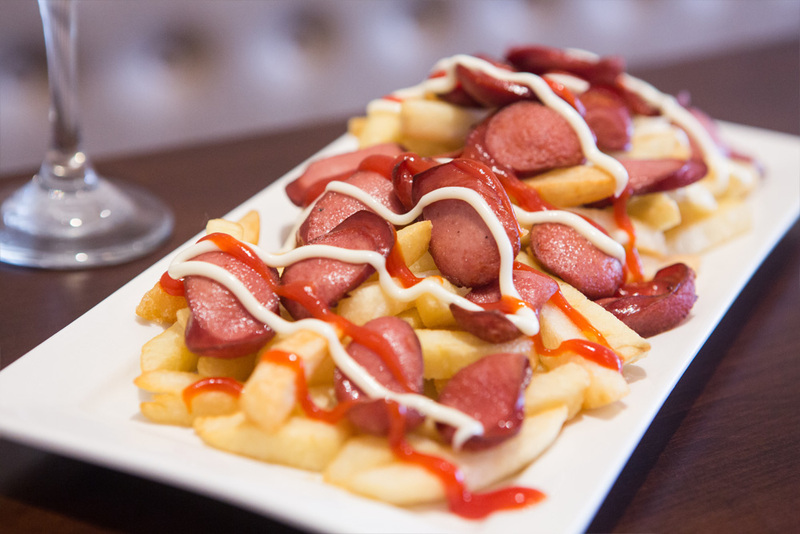 French fries with fried hot dog sausages. Mussels topped with onions and sautéed in a fresh squeezed lemon sauce. 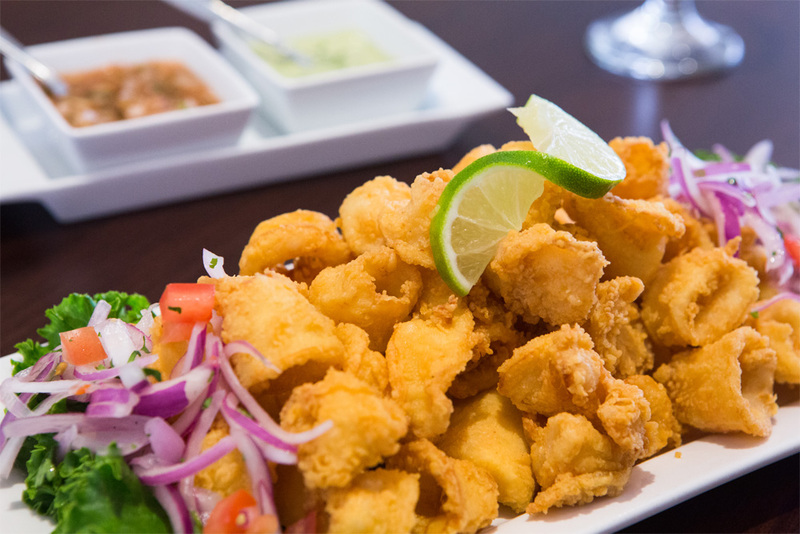 Golden and crispy fried calamari with ensalada criolla, and our house-made sweet sauce. 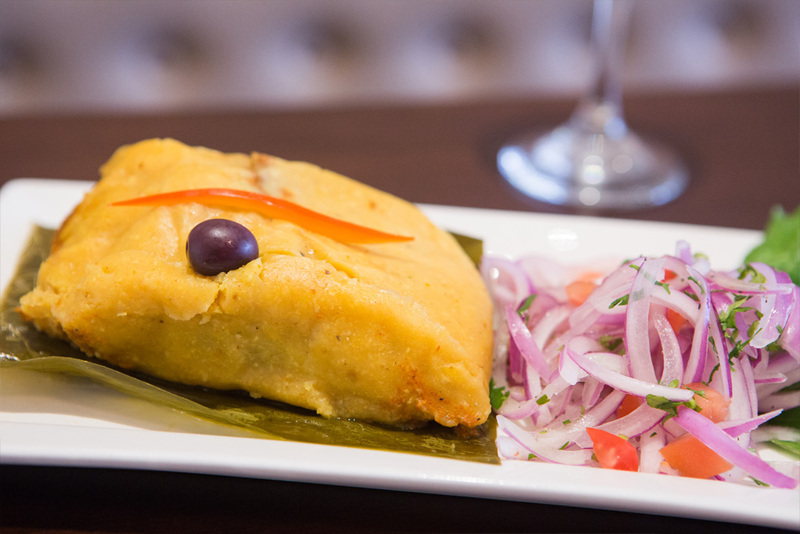 Stuffed corn with pork or chicken served with ensalada criolla. Citrus base marinade in a ceviche. 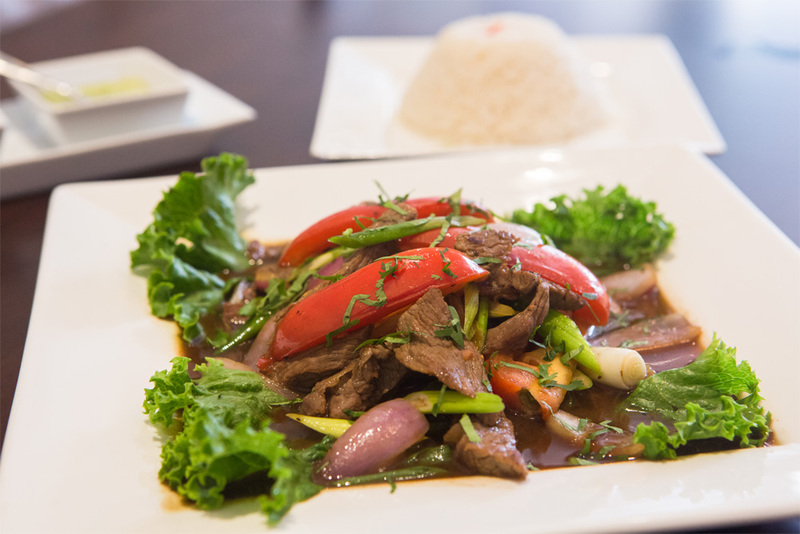 A classic Peruvian dish, stir fried beef tenderloin strips sautéed with tomatoes, red onions and fries. Served with white rice. 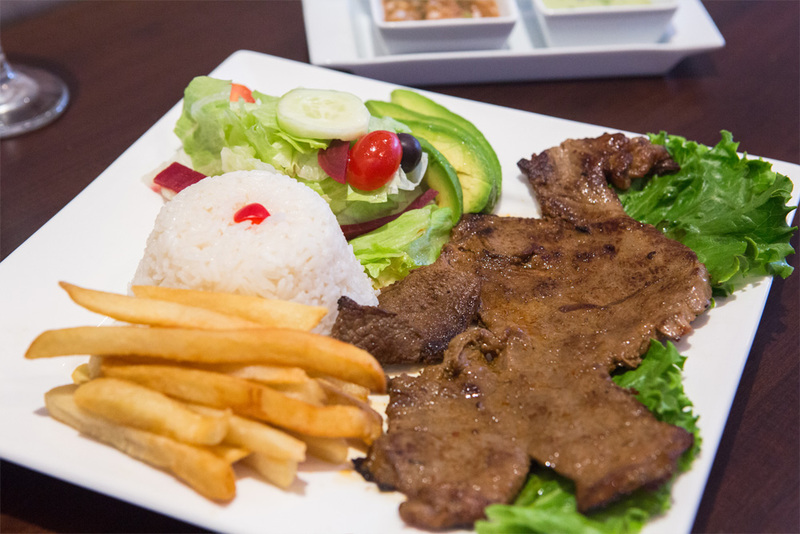 A must-try steak charbroiled to perfection on the grill, served with white rice, fries and our fresh avocado house salad. 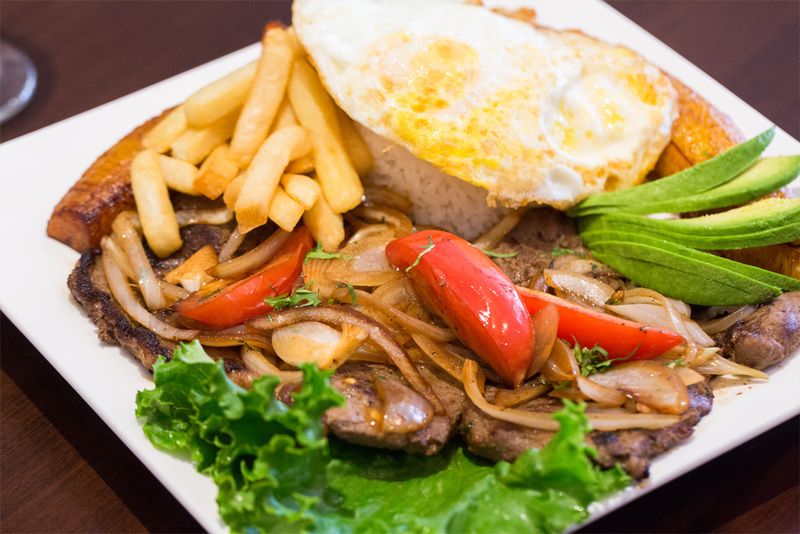 Marinated top sirloin grilled and smothered with onions and tomatoes. Served with white rice, topped off with two fried eggs and a side of sweet plantains and fresh avocado. 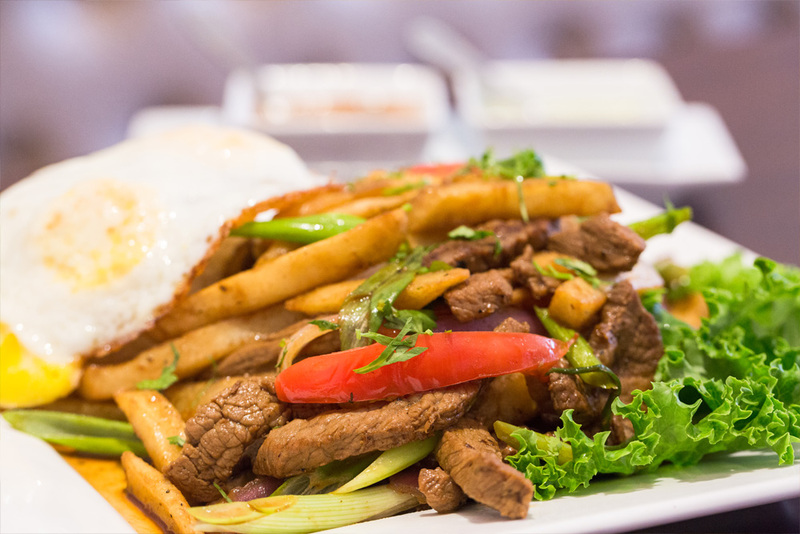 Grilled steak served with rice, french fries and our fresh house salad. Linguini pasta and a green pesto sauce with a sizzling steak on top. 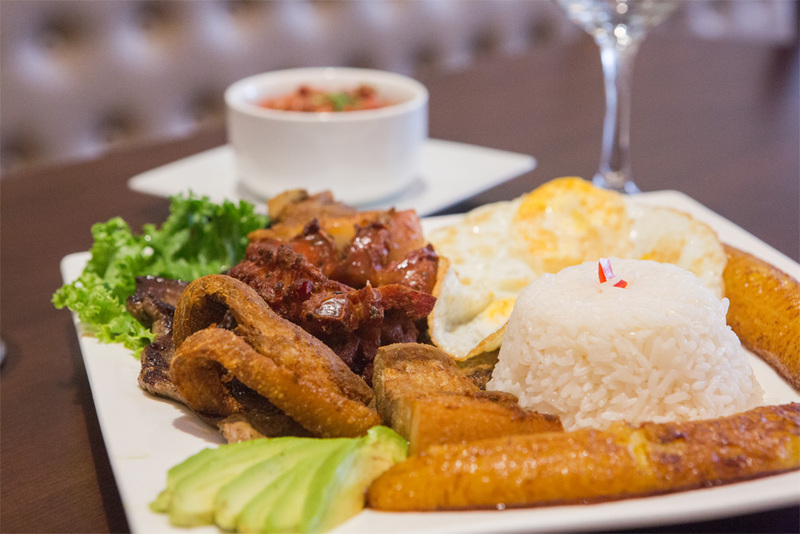 Grilled steak with fried pork, Spanish sausage, white rice, beans, egg, sweet plantains and fresh avocado. Oriental inspired dish made with fried rice and stir fried beef mixed with soy sauce, eggs and diced scallions. Comes with french fries and house salad. 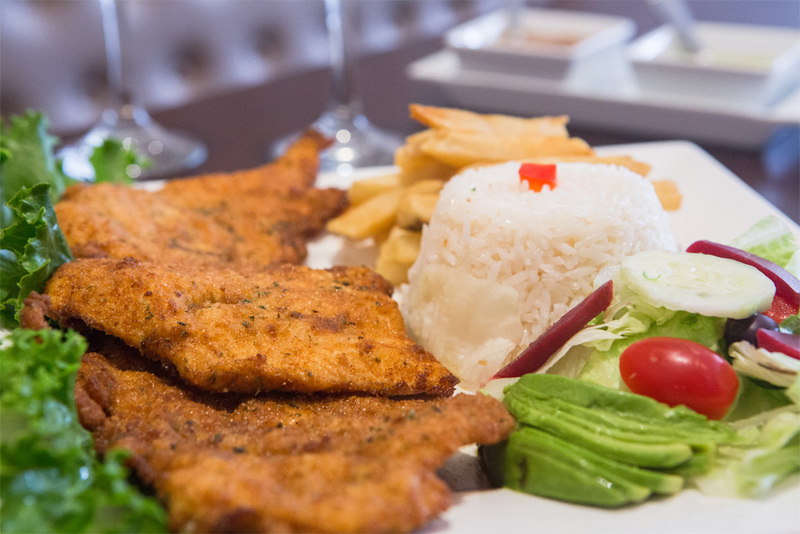 Boneless chicken breast breaded in our special Peruvian seasoning, served with fries, white rice and fresh house salad. 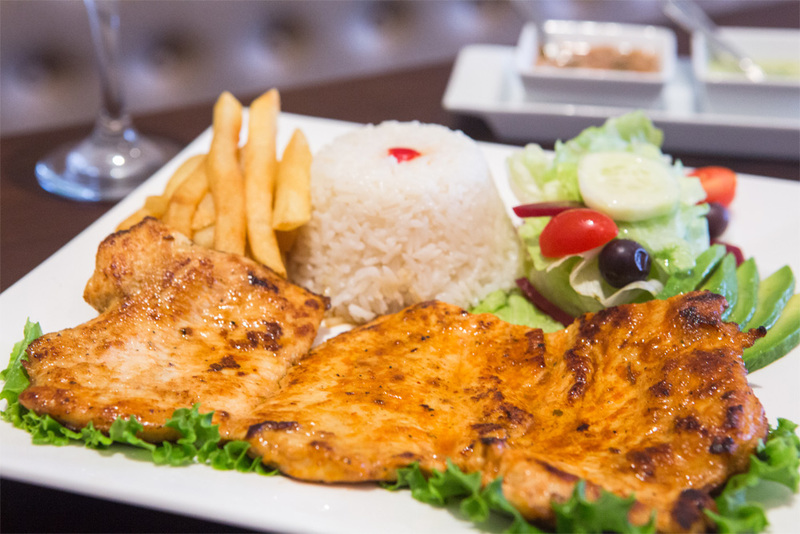 A sautéed marinated chicken breast served with french fries, white rice and our fresh salad. 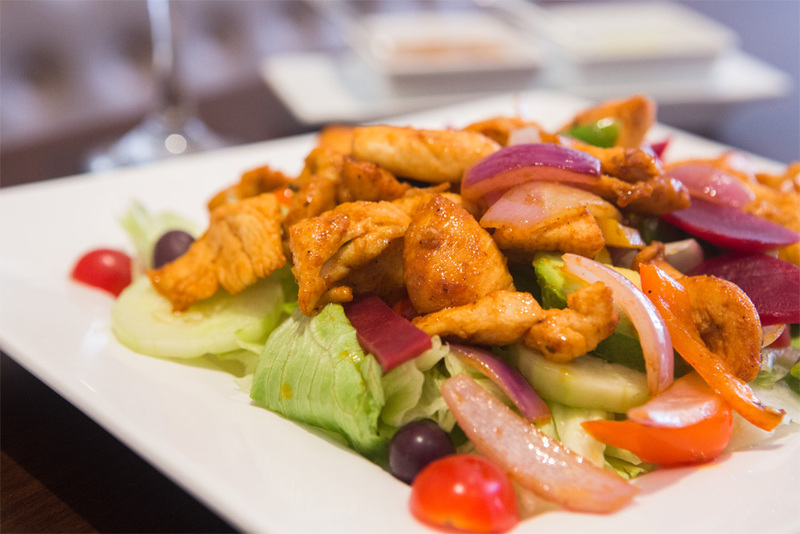 Fresh salad topped with our grilled chicken. Tender and crispy chicken bites served with french fries. 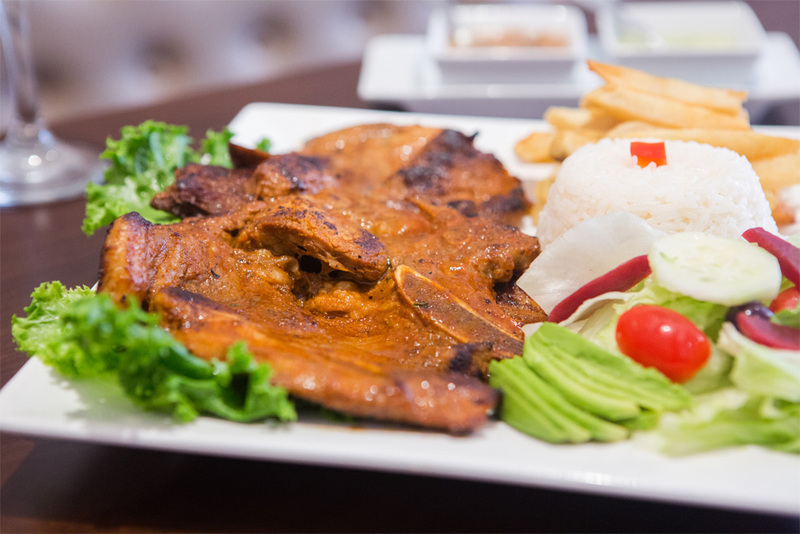 Breaded pork chops served with white rice, sweet plantains, beans and fresh avocado. 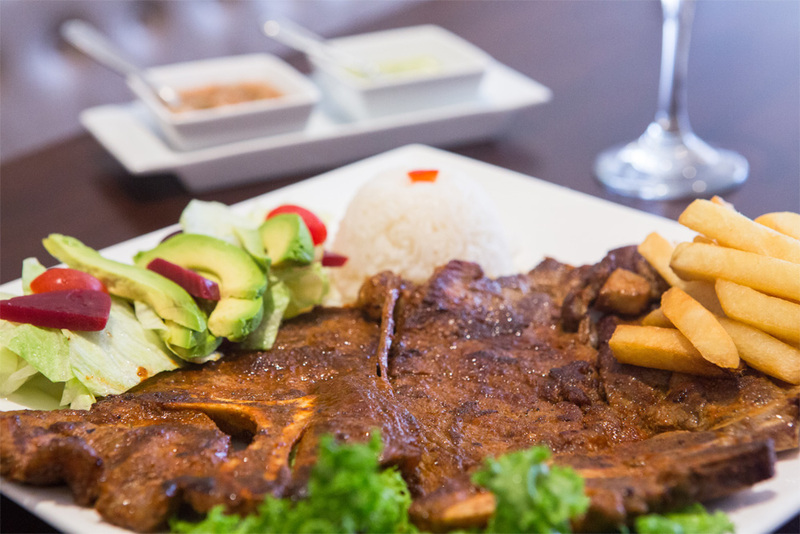 Grilled pork chops served with white rice, french fries and our fresh house salad. 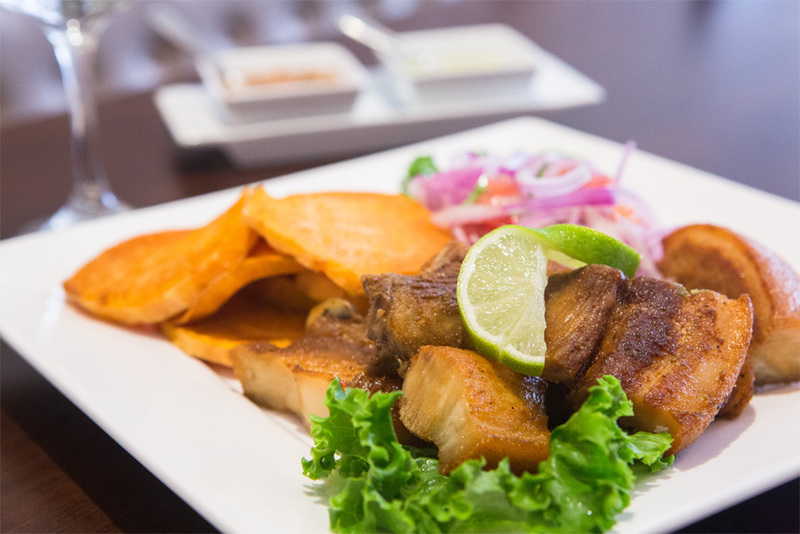 Fried crispy pork chops, served with fried sweet potatoes and salsa criolla. 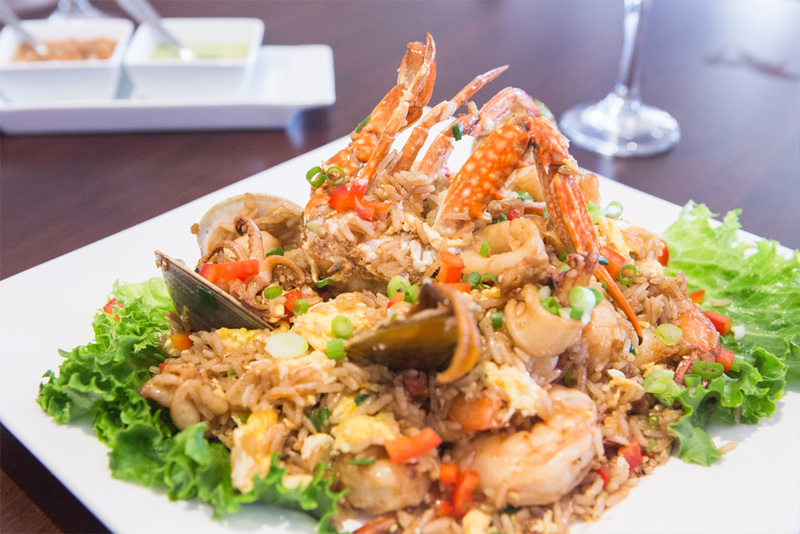 An oriental inspired dish made with fried rice and stir fried seafood, mixed with soy sauce, diced scallions and onions. Our famous 3 for 1 special! 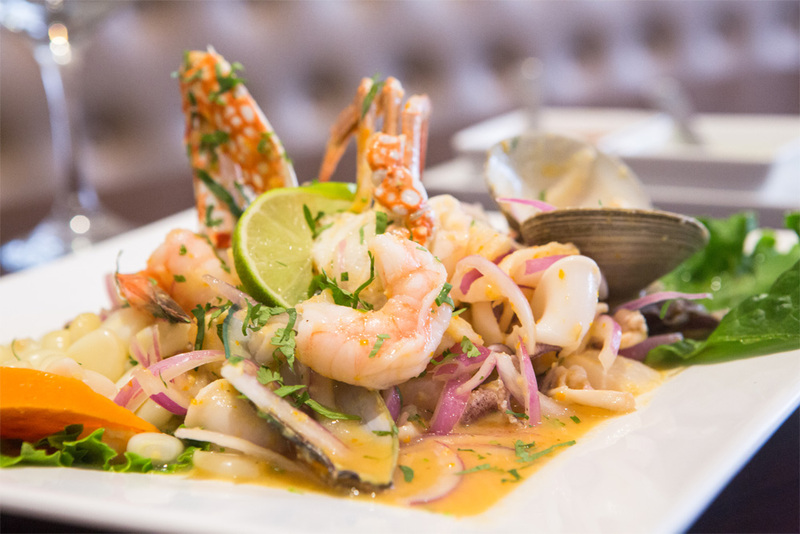 A half of jalea, our ceviche de pescado and our famous citrus base marinade in a ceviche (leche de tigre). 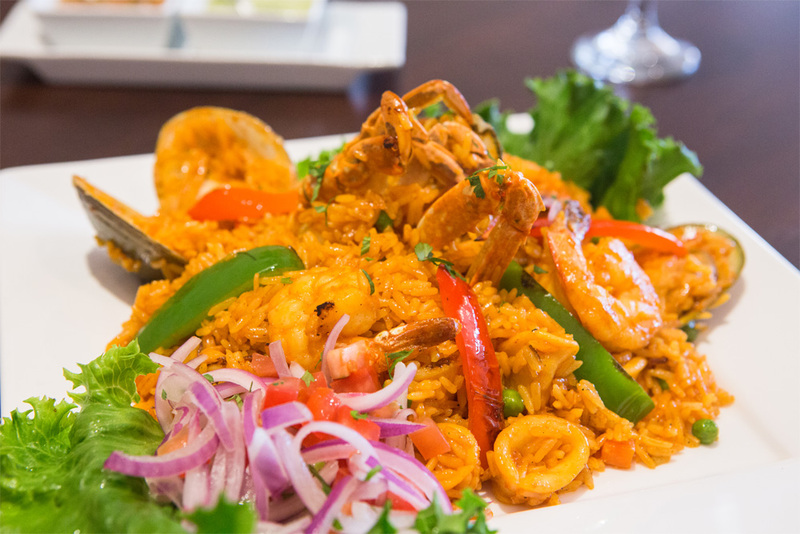 Peruvian paella -- spiced rice with fish, shrimp, calamari, clams and mussels. 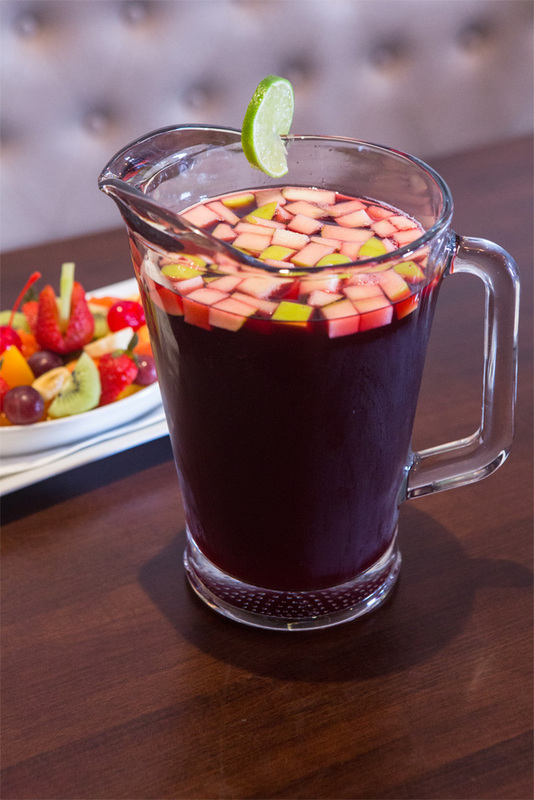 Served with salsa criolla. 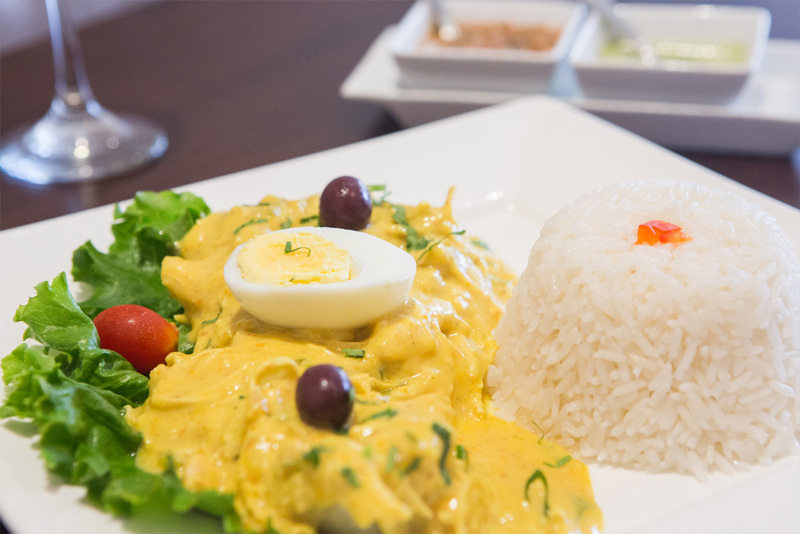 The trademark Peruvian dish! 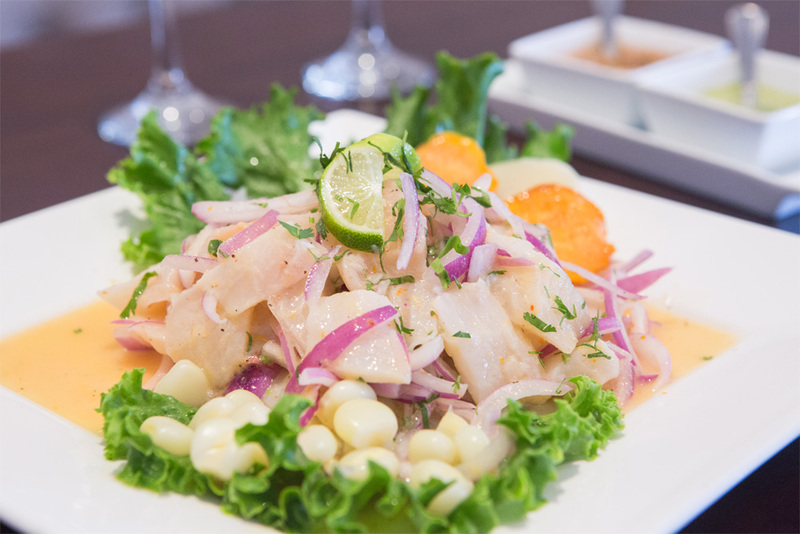 Diced fresh fish of the day, marinated in fresh lime juice, "ají limo," cilantro and red onions, served with glazed sweet potatoes and fresh Peruvian corn. 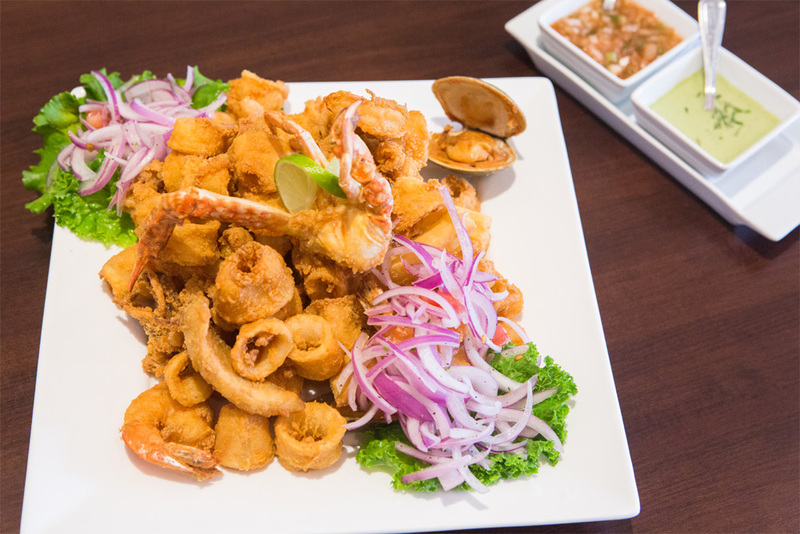 Diced assorted seafood: fish, calamari, conch meat, octopus, marinated in "ají limo" and cilantro. 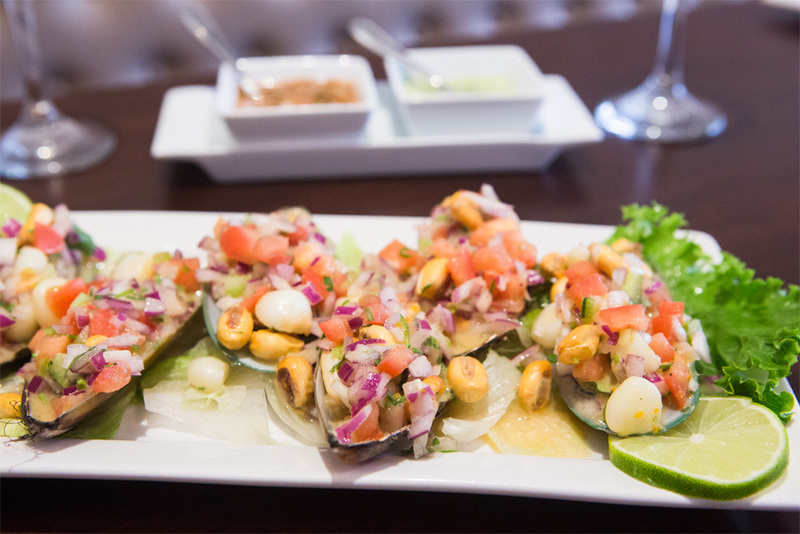 Topped with onions, served with glazed sweet potatoes and fresh Peruvian corn. 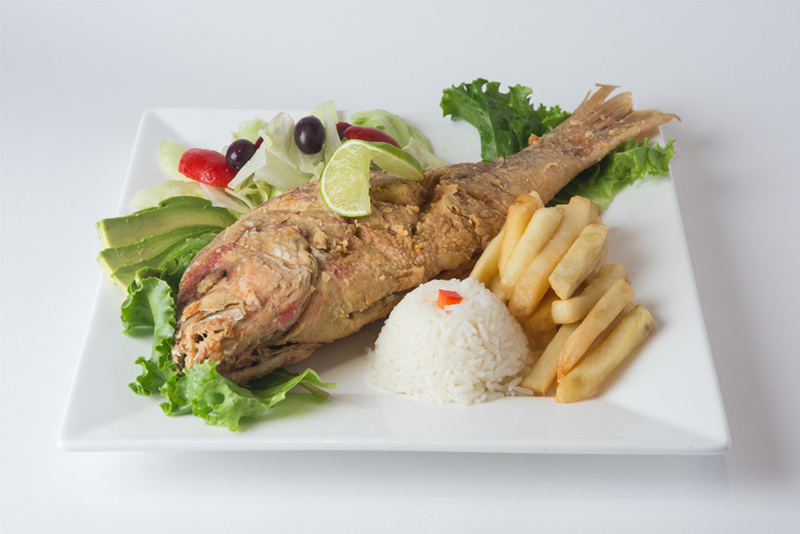 Deep fried red snapper served with french fries, fresh house salad and white rice. Fried fish fillet served with white rice, french fries and our fresh house salad. Lingini pasta with shrimp, sautéed with onions and tomatoes in our special sauce. 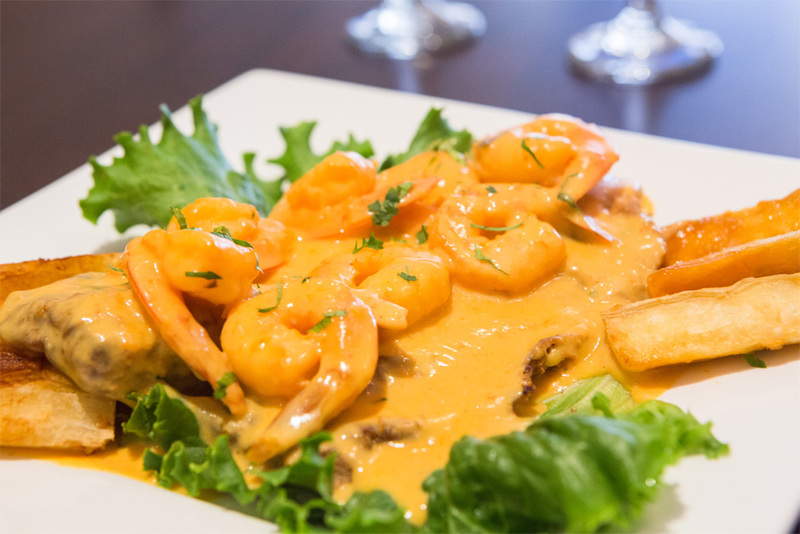 Shrimp sautéed in white wine, served with french fries, white rice and our fresh house salad. 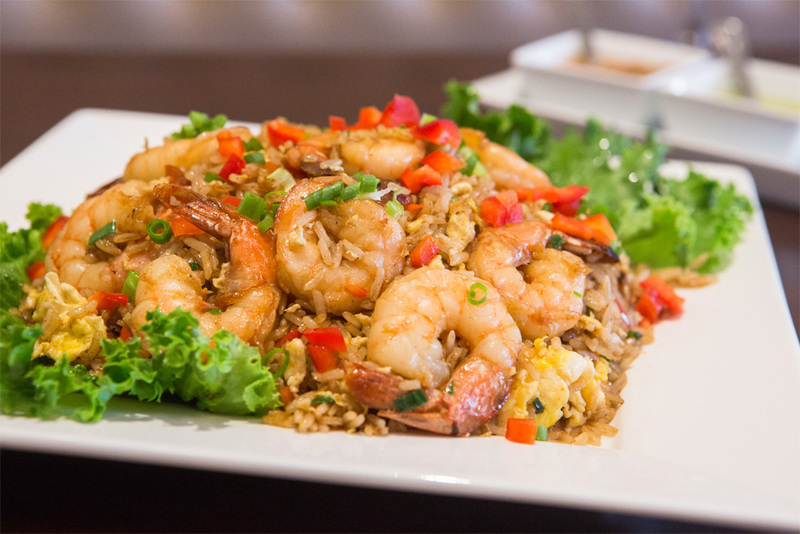 Oriental inspired dish made with fried rice and stir fried shrimp, mixed with soy sauce, diced scallions and onion. 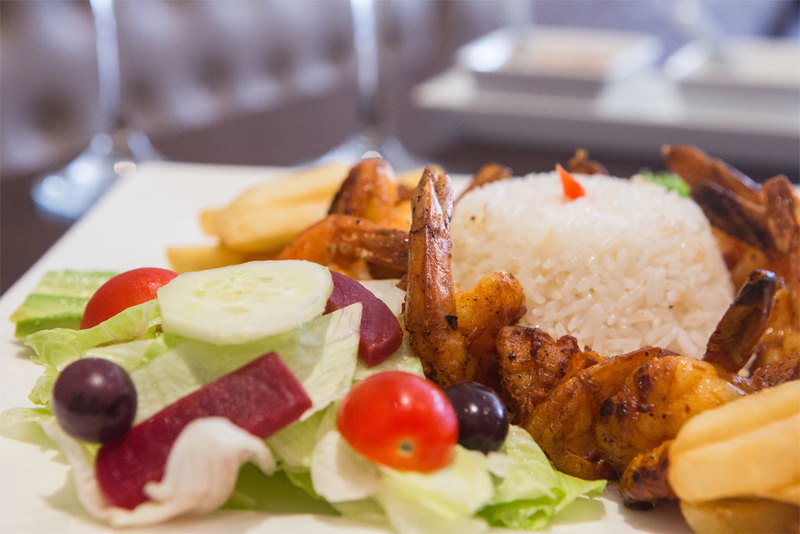 Assorted shrimp marinated in "ají limo" and cilantro. 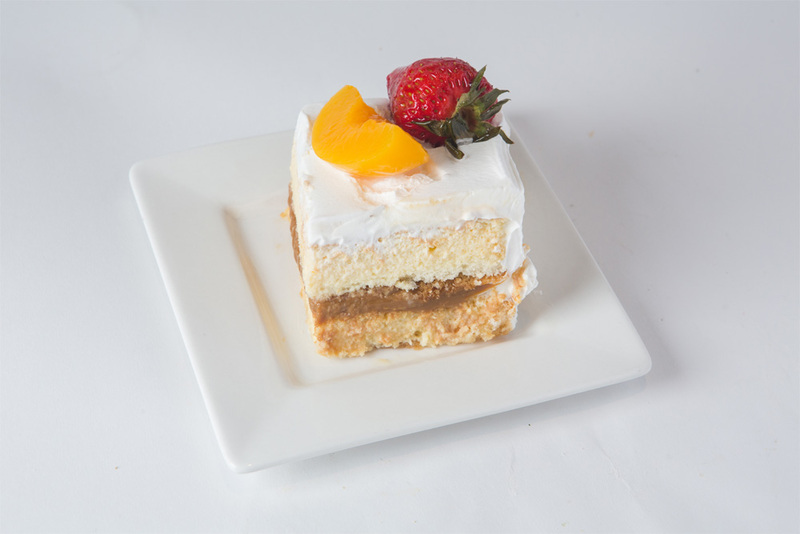 Topped with onions and served with glazed sweet potatoes and fresh Peruvian corn. Steamed fish fillet smothered with shrimp, onions and tomatoes, with a touch of white wine. Served with out fried cassava and white rice. 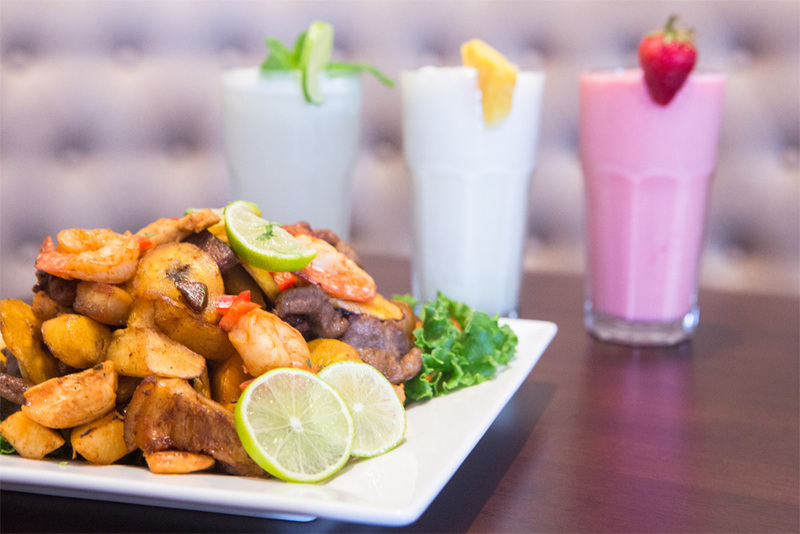 Diced fresh fish of the day and shrimp marinated in fresh lime juice, "ají limo," cilantro and red onions, served with glazed sweet potato and fresh Peruvian corn. 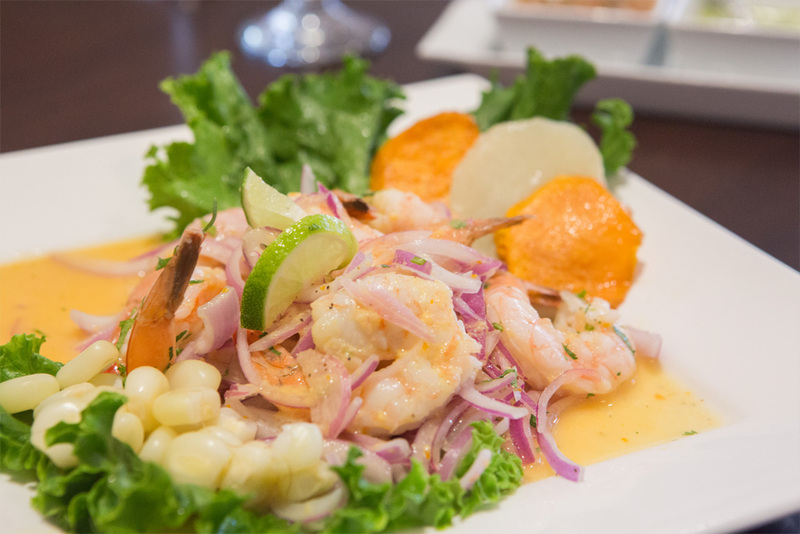 Fresh shrimp of the day marinated in fresh lime juice, "ají limo," cilantro and red onions, served with glazed sweet potatoes and Peruvian corn. Our famous 3 for 1 special! 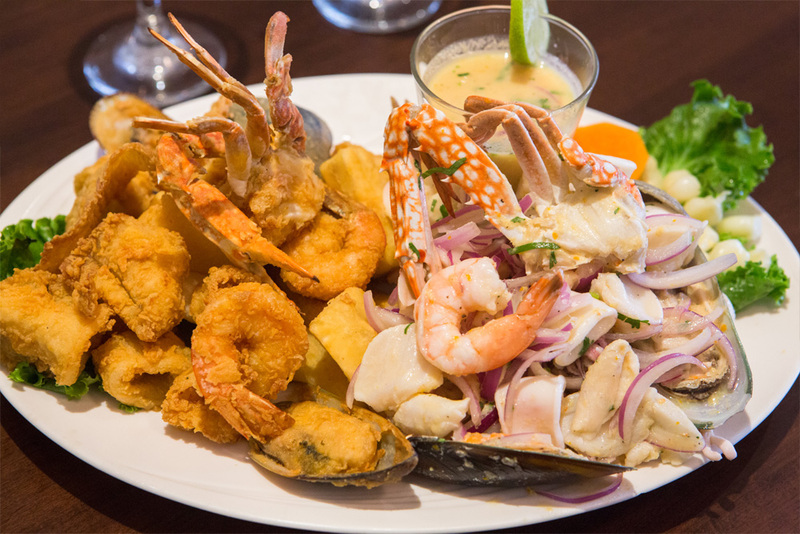 A half of jalea and our ceviche mixto, and our famous citrus base marinade in a ceviche (leche de tigre). 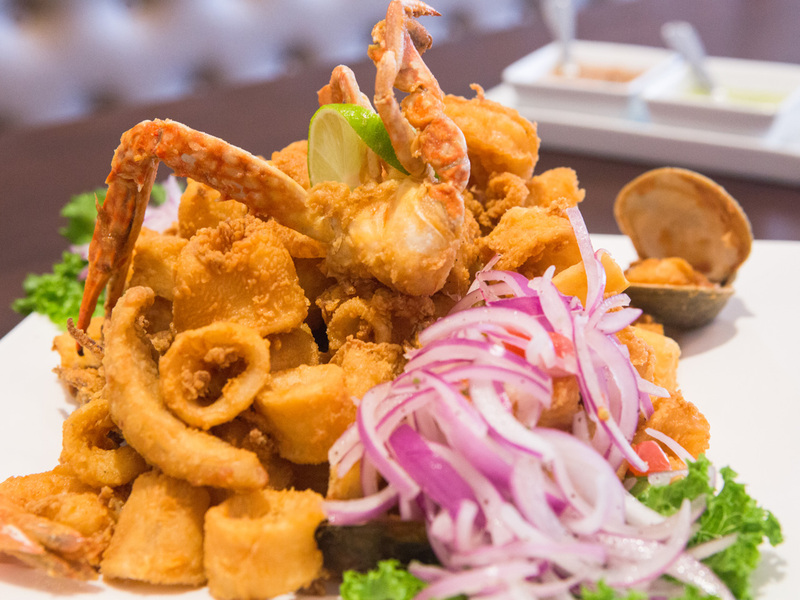 The original taste of Peru, a combination of deep fried fish and breaded mixed seafood, served with salsa criolla and fried cassava. Sweet boiled yams or fried sweet yams. House mixed salad with fresh avocado and tomatoes. Onions, tomatoes and cilantro tossed with freshly squeezed lime. 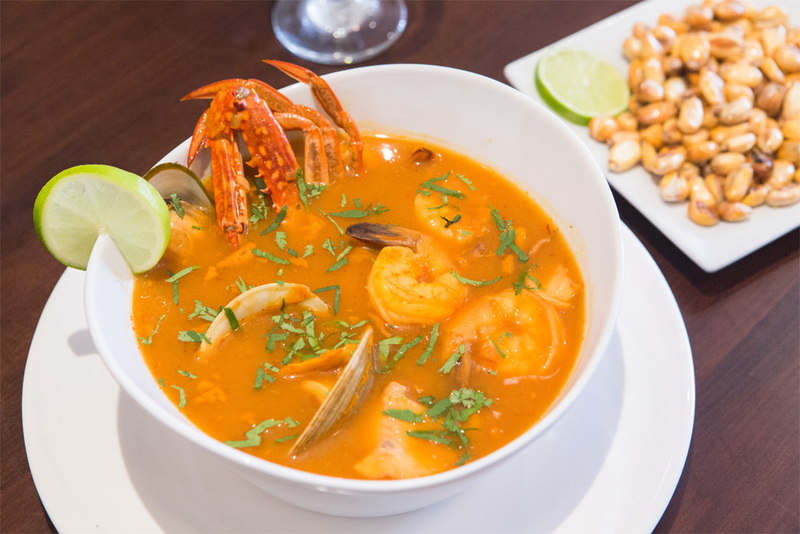 An authentic and original Peruvian seafood soup with fish, clams, shrimp, mussels and squid in a delicious tomato broth. Light fish consommé with shrimp, rice and a touch of cream. 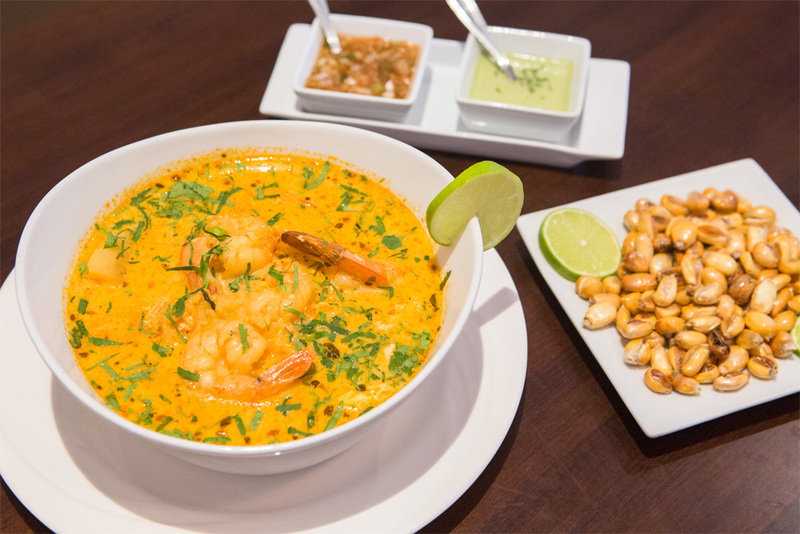 An authentic and original Peruvian chicken soup with steamed potatoes, vegetables and noodles. Creamy seafood consommé with shrimp, calamari, light fish, crab, rice, a touch of cream and freshly chopped vegetables. 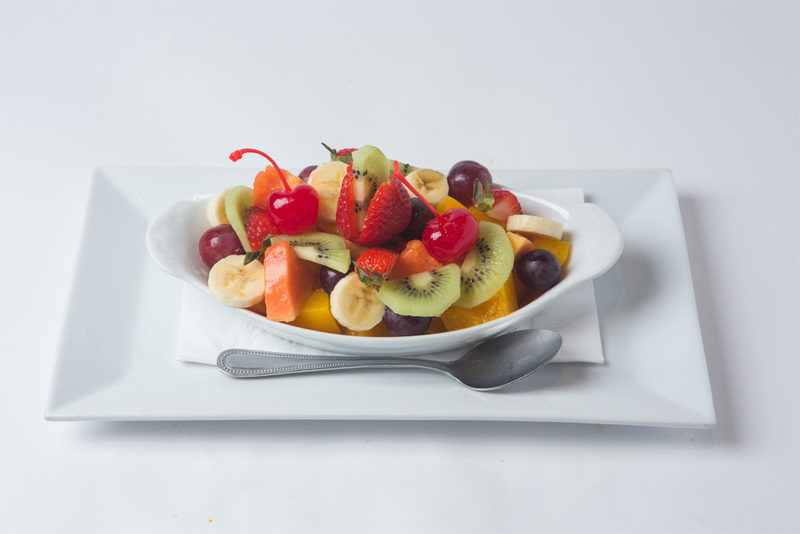 Passion fruit, Pineapple, Raspberry, Soursop, Strawberry, Mango, Orange, Banana, Papaya or Lulo. Inca Kola, Snapple, agua, Coca-Cola, Sprite. 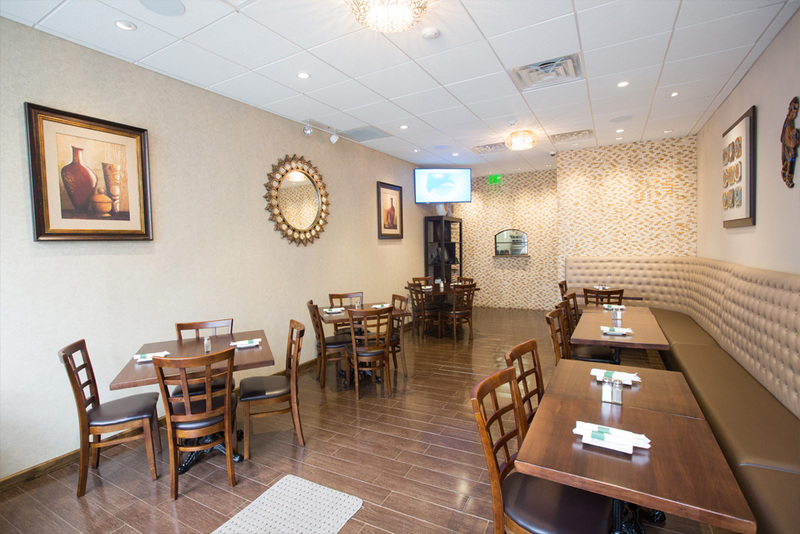 Our private party room can accommodate 60 guests!